I ended up picking up an RS-V with touring pack and auto for $22,900. Where did you source the Eibach springs from ? aaaaplay - Congrats! that's a great price, so much car for the money isn't it! consdering a base model Corolla is $22k or something ridiculous & it's CVT too - Yuck. They're like driving a white goods appliance, boring as bat you know what... Features galour on the RS-V in comparison. You'll enjoy your Astra, the Adaptive Cruise Control is fantastic! well worth the extra $ alone & the sunroof up sepc's the car dramatically. I can't wait to use my heated seats & steering wheel more now that its cooling down. spooler I got the Eibach springs from eBay (coming from Germany), around $A360 shipped which is about the same as King Springs in Aus which are the only brand I could find stocked / developed locally in Aus - I woudn't go King Springs anyway but was interested in the price difference especially being shipped from Germany - The product code if you want to search is E10-65-031-01-22. Nice Matt, should look good once fitted. Did you decide on wheels yet ? * Eibach Pro Springs ordered (we don't stock these locally in Aus). * Xenon HID Conversion Kit ordered (tossed up between LED & Xenon but in the end decided on Xenon) - might change this down the track, will see how the performance of the HID's go. * LED rear turn signals ordered. I've never lowered a car of mine nor know a whole lot about it, but why did you go for eibach over king springs? Also how much are you being charged for opticoat? Had the ming mole call me up and offer me $695 for ting (cancer council approved) and $2190 for whatever there paint protection offer is. I said no as I've already had a quote of $400 for tint, but haven't looked into paint protection. 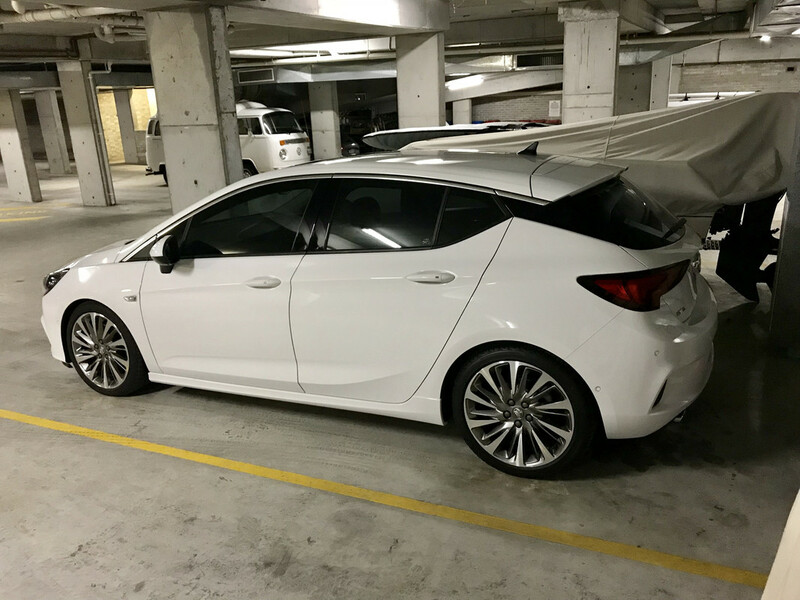 Hi AUS, I picked Eibach over any other brand purely on feedback I had read around the forums about a more compliant ride quality & suited better to the Astra. King Springs, H&R etc I've heard are alot harder in ride comfort. I wouldn't do dealership protection package myself, I know guys who work in the trade & the workmanship / application of the actual product is generally very poor. A mate who is a rep for Permagaurd which is a good product (Holden and alot of dealerships use) hate going out for warranty issues on cars that have been treated / applied via a dealsership package, he said they're so sparingly & poorly applied he will usually end up spending more time than he should fixing a mark or a stain (bird dropping accid etc) that shouldn't be there & also re-doing the whole pannel not just a spot. Eibach Springs are fitted, only been on a couple of drives but am very very happy with how it drives, not harsh what so ever. Wasn't sure if 30mm was a big enough drop to close in the huge gaps on from the tyres to the wheel arches but it's actually perfect, doesn't look slammed or screaming out hey I've dropped the car! subtly I like. Glad I didn't go 40mm in the end. Looks like it should from standard in my opinion, very similar to that of how my previous BMW sat. I also got -2 degree's of camber all round, stance looks good. Pics to come hopefully over the weekend I'll take some. Looking forward to see the pics as I think it may help me decide to lower mine or not. Hi, was wondering where you got your Eibach springs. Want to ensure that what I order from overseas is the genuine article. Got quoted $450 for King Springs supplied and fitted but feel they will be a harsher ride compared to Eibachs. Got my Eibach springs from eBay - part number E10-65-031-01-22, was around AUD $355 delivered from Poland. AUD $450 for supply & fit of any set of srpings is very cheap, you'd also need to factor in a wheel alignment. I looked into King Springs too (only local option around) but decided to go with European springs as the car is European & feedback on the Eibach's has always been positive.